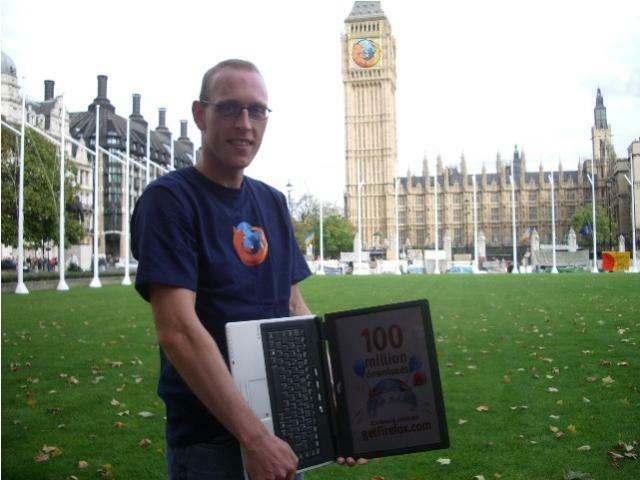 In London we have started measuring time in "Firefox downloads" - the local time is just past 100,000,000. As you can see in the background even Big Ben has switched to Firefox. Congratulations from Thooomas (the photographer) and Tango!